On a tactical mission, you would be in need of a finely crafted and heavy duty knife that can execute your duties. With this stealthy Military Tanto Machete, you will be able to hack and cleave through a number of different jobs. Made from stainless steel, this blade features a prominent tanto point and a curved design. The blade exhibits a full tang, with a textured black grip on the handle. 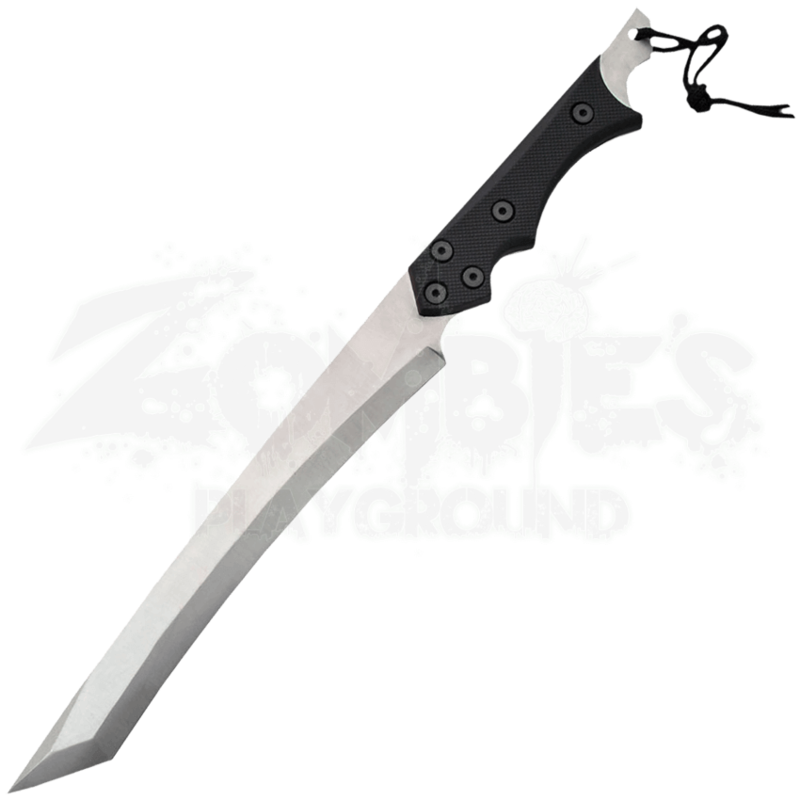 The grip features grooves for a strong hold on the machete. At the end of the knife, a lanyard is attached through a hole in the steel so you can attach it to a number of different places. Included with this machete is a black sheath so it will stay protected. Anyone in the market for a striking and remarkable blade would be delighted at the sight of this Military Tanto Machete, making it a great gift idea for weapons enthusiasts.